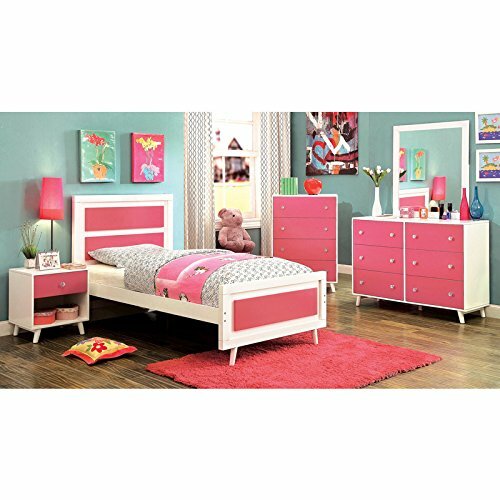 Add color and modern styling to your little one's room with this two-toned collection. The duo plank panel headboard showcases gorgeous coloring to pair with the finished drawer fronts, all while emphasized by the sleek white finish. Mid-century inspired angled legs provide the necessary support while adding an updated charm to the environment.